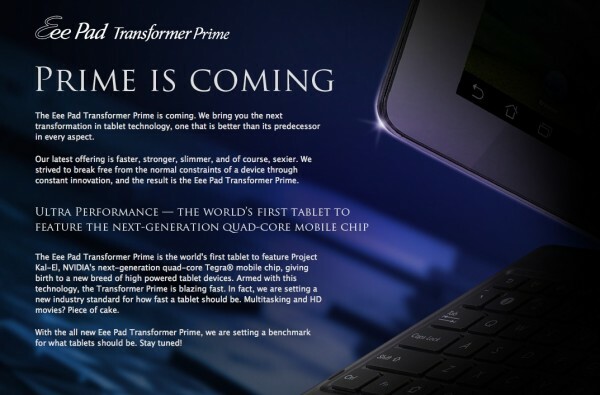 The new Transformer Prime from Asus made a brief appearance on stage last night at the AsiaD conference. It looks ultra-thin, will run NVIDIA’s new quad-core Tegra 3 processor, and dock into a keyboard just like its predecessor. The landing page for it on Asus’ site is already live with the unveiling of the device coming in just a couple of weeks on November 9. And if you would like to see it in video from the conference last night, we have included it below. Skip to the 6:10 mark to see it in action. “Crazy thin” doesn’t do it justice. Google Maps Update Includes NFC Support!